The FTR is truly a game-changer that raises the standard for Class 6 medium duty trucks. This truck’s low-cab-forward design gives it fantastic maneuverability and visibility along with the ability to carry more cargo than a conventional Class 6 GVWR truck at the same wheelbase. Its four-cylinder diesel engine is environmentally friendly and gives the truck outstanding fuel efficiency. A class-leading warranty provides its owners with peace of mind. And it’s an Isuzu truck, a name that is synonymous with dependability, durability and low cost of ownership. Download the Isuzu F-Series brochure or the 2018 FTR Specification Sheet. 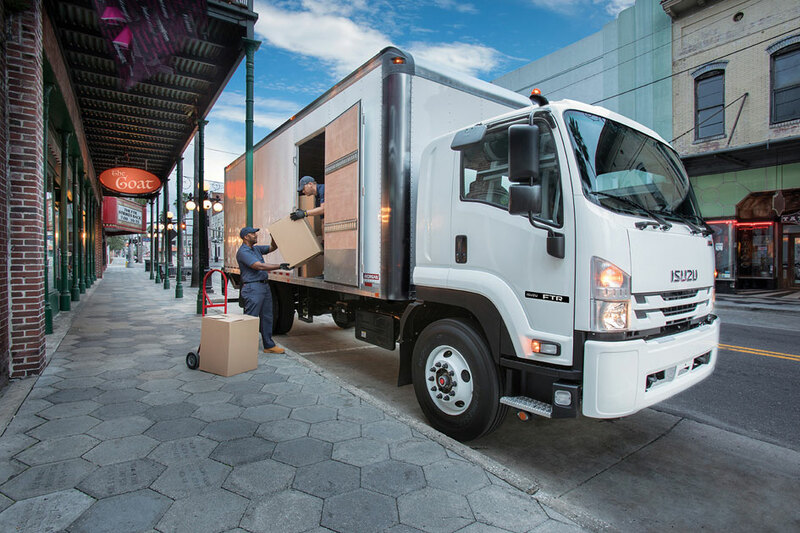 Need help finding the right Isuzu truck for your business? Bentley Truck Services is here to help you, no matter what the vocation. Contact one of our locations nearest you today to schedule a test drive and walk around or for info about our finance options!